This blog post title is in honor of a beloved author whose own book gushes have added new favorites to my own shelf. Today, I’m absolutely GUSHING over Rachel McMillan’s historical mystery and romance release, Murder at the Flamingo, with a review, interview with Rachel, BOOK RECOMMENDATIONS FROM HER, and a GIVEAWAY! 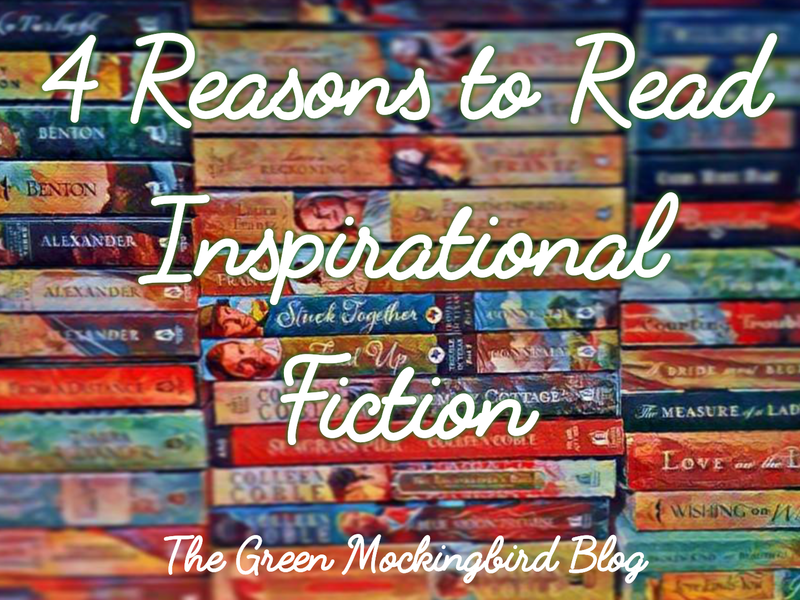 Read on for more awesome bookish stuff! With Rachel McMillan’s distinct historical voice and attention to detail, she paints a vivid historical mystery with a hint of romance against the backdrop of a brilliant 1930s Boston scene. In her distinct way, she makes the setting a secondary character of its own, vocal and important in its culture and story role. With a fabulous puzzle solved and room for more adventures to come, the city comes to life as the characters grapple with loyalty, independence, anxiety, and purpose. Hamish and Reggie are endearing, quirky, enigmatic, and just plain lovable. Even secondary characters like Luca (whom you will dislike/love/want to hug all at once!) and Nate (and his wonderful candidness!) are sure to be favorites and promise to be even more essential in stories to come. And I just want to hang out with Reggie and watch films of the time! Fans of McMillan’s previous Herringford & Watts series will be ecstatic to learn of the “next” generation (Hamish is a DeLuca, after all) and see tiny nods to the previous series and a familiar name or two! Let’s stop right here and talk about Hamish. He is SUCH a product of his parents! But, he is his own kind of special, quirky, and important. Through his unique viewpoint, Rachel McMillan illustrates the challenges of mental illness — namely anxiety and panic — in a normalizing and emphatic way. This makes him wonderfully relatable — even for a reader with no personal experience with such challenges (like myself). I applaud her for using characterization to subtly bring awareness and empathy to the forefront in a way that adds so much to the story. I could talk all day about more wonderful elements of this story — lemon cannolis, bicycles, jazz, picture shows, DANCES, light bulbs, classic literature, and an implied message of grace. Instead, I hope you choose to discover for yourself all the intricacies and fun of this little mystery. I cannot wait to see where these beloved characters will take me next! MANY thanks to Thomas Nelson for the review copy. Pick one: lemon sandwich or lemon cannoli? AHHH this is so hard. I am going to say cannoli. What’s next for this set of characters? Murder in the City of Liberty releases next May and it finds Hamish and Reggie two years after they open Van Buren and DeLuca investigations/legal consulting/Winchester Molloy listening, in 1940. There are two major forces in this book: the first is a black baseball player and fastest base stealer in the Boston farm leagues who becomes the target of a series of horrible pranks that eventually lead to murder. The second is a growing racism (specifically anti-Semitism) which aligns with the conflict in Europe (for which Hamish’s home country is already fighting). Very much like The White Feather Murders, I wanted explore the lack of social justice and the rampant prejudice heightened during war time. On a personal front, Reggie and Hamish are doing a very poor job of being “just friends.” And Nate gets a little bit of romance of his own! Murder at the Flamingo incorporates a character with panic and anxiety when mental illness was taboo for the era. And, you have started a related hashtag #FictionForEmpowerment. Tell us more about that! Yes! It is something that I have lived with my entire life and I thought this was the perfect time to talk about it through a fictional lens: so all of the symptoms and challenges I ascribe to Hamish are things I have struggled with since childhood. Mental illness is very much like any other illness —except it is invisible. So while, not unlike someone with cancer or diabetes, I have to see a doctor regularly and use medicinal treatment to live a full life, it is not something that is completely easy for everyone to understand. In Hamish DeLuca’s time, there were still rather primitive ideas about it and studies that found patients being doled all manner of horrible mercury pills (that ravaged the system), being locked in sanitariums or exposed to shock treatment. Because of Hamish’s visible symptoms, these are things that are very real threat to him. I wanted to show that a character who suffers from this illness still has adventures and tries to get the girl: even though he had a steeper hill to climb in terms of acceptance than we do nowadays, he still is just a human being. At heart, this series works to normalize mental illness without hopefully ever being slated as “issue” fiction. (For Herringford and Watts readers of The White Feather Murders, you will recognize that Hamish comes by his right hand tremor genetically. Something his father had since the end of A Lesson in Love and Murder). I loved writing all of them. Just like in Herringford and Watts: they all mean so much to me. I gave Reggie all my quips and one-liners so I loved doing that! My breakaway character in this was Nate. I always wanted to feature someone who could map the intricacies of the North End neighbourhood for them but I loved writing him so much that he ended up getting a much larger role than in the first outline. To the extent that he is a huge part of the central mystery in book 2. But my favourite character to write was Hamish! I looove all of my characters but I don’t know if I will ever feel as close to any of them as I do Hamish. I suppose it is because I am using him (as mentioned above) to speak to something very personal and challenging to me. Loyalty is a BIG subject in this book, much of it revolving around Hamish’s cousin, Luca. What is the message you want readers to take away from their dynamic? I think that when you read the book you see most people’s loyalty to Luca differs from Hamish’s. While so many speak to loyalty to Luca it is with the expectation that he can do something for them in return. Their loyalty anticipates a symbiotic relationship. The spiritual themes in the book are deftly hidden but I really used Hamish’s loyalty intentionally to show a measure of grace. A few times in the book when asked by Luca where he gets his unfailing loyalty (even as Luca uses him or lets him down), Hamish has no other answer than “Your Luca.” Hamish’s loyalty is a result of his blind love for his cousin with no expectation of return on that investment. In that sense, writing aspects of this book was really heartbreaking for me. Hamish is a good kid with a great heart who just wants to spend time with his cousin and realizes that he doesn’t truly know Luca at all. So loyalty without expectation of anything in return is one of the ways in which I tried to explore the themes of grace in the novel. I would say The Rosie Project by Graham Simsion would be one that immediately comes to mind. I just finished a book called the The Lost for Words Bookshop by Stephanie Butland and while it is never overtly expressed, it is clear the heroine suffers from PTSD. Charles Todd’s Ian Rutledge mysteries feature a detective late of the war who definitely suffers from anxiety and panic. Finally, and though this is not intentional, I view The Blue Castle by LM Montgomery to be a study in anxiety and panic. Valancy Stirling’s undiagnosed heart condition is very much a representation of typical symptoms of panic attacks: from the initial recognition and through the onslaught. Also, her waking up at 3 a.m. consistently is another symptom. Because LM Montgomery was a life long sufferer, I always find this a perfect unintentional example of anxiety and panic disorder. Which “McMillan” book should a reader start with? If you really just want to get to know my heart and nature, Love in Three Quarter Time. Man! This is a hard question. In the Herringford and Watts series my personal favourite is A Lesson in Love and Murder. I think it does the best job of giving a well-rounded view of the four central characters (plus Benny) and their relationships and interactions. But, I am hoping a lot of people start with Flamingo. You get better with each book, I had a wonderful editor with this, it is a story close to my heart and I am proud (as much as I can be proud knowing that there is always a million things I would have done better) of the final product. 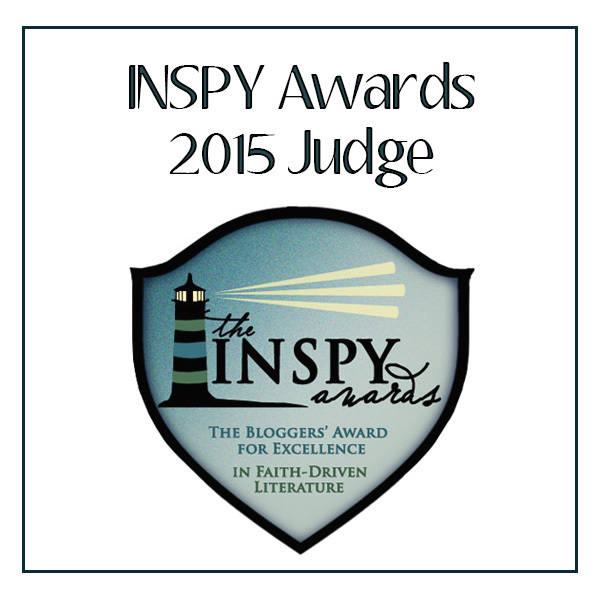 A book for someone new to the Christian fiction genre? Try Katherine Reay. Any of her books. They’re literary-infused and filled with romance and also exceptionally written. Any spiritual truths are expressed in a subtle way. My friend Allison Pittman has a new one coming out next year called The Seamstress (Tyndale, 2019) and it is a fictional spinoff of A Tale of Two Cities set during the reign of Marie Antoinette and it pursues spiritual truths within a truly beautiful historical setting. A book for people who love YOUR historical mystery/romance series? I loooove so many books. If you truly want to get to know me and what makes my heart tick and mind gallop, I highly recommend The Price of Privilege series by Jessica Dotta. I am not going to put myself on the Dotta level in terms of comparative storytelling because she is a master. I also am strongly influenced by Anna Lee Huber (Lady Darby series), Deanna Raybourn, Rhys Bowen (Molly Murphy) and Elizabeth Peters (Amelia Peabody). I would say reading them has infused my passion for writing mysteries with heavy romance. A book out of your comfort zone that you really loved? I try super hard to read as much as I can in as many genres as I can. Still, science fiction seems to be the one genre that I have the hardest trouble sinking into. But I loooved The Martian by Andy Weir. It is so funny. It has such an arresting narrator. I think it goes to prove that I can love anything if the voice is great. A small time/indie published book? JL Spohr’s The Realm Series (it begins with Heirs and Spares). Please read it. Also, Masque by W.R. Gingell (if you have a beauty and the beast thing going, I will totally read your book). ACK so hard! Just one! I can’t do just one. I really super duper fell in love with an Eva Ibbotson book I read for the first time this year called The Morning Gift. I have a bit of a thing for Marriage of Convenience stories and this is one. Quinn is totally a Rachel catnip hero. Courtney, you know that I think Isaac Dalry in The Price of Privilege series is one of the all-time greatest heroes! Total catnip. I have a huge thing some of Lynn Austin’s heroes. I think she writes the best kissing scenes of all time and I just love her books to death. So James McGrath in Fire by Night is an all time favourite. I like super intelligent heroes. Who are just a little different. Or crafted by Katie Breslin. SIMON IN High as the Heavens, I am looking at you!!!! !I am also looking at you, you adorable Pimpernel-Phantom of the Opera hybrid Jack Benningham in Not by Sight. Lately, a favourite was Jacobus in The Reckoning at Gossamer Pond by Jaime Jo Wright. Also, if your hero is a scrappy reporter, I am definitely there for that. I read Anna Blankman’s duology Prisoner of Night and Fog and Conspiracy of Blood and Smoke recently and the hero, Daniel, is a Jewish reporter in Nazi-laden Germany pre-WWII. His ambition to bring truth and light to a world that is against him is marvelous. Oh Rachel! Thank you for taking the time to answer my questions and give us all new books to add to the TBR!!!! I know I need to read a few more of these. YES to all things Price of Privilege!!! Rachel has graciously offered a giveaway copy of a kindle ebook of Love in Three Quarter Time. Follow the instructions on the Rafflecopter form to enter! Giveaway ends 7/21/18 12:00am. Open internationally. Entrants will have 1 week to respond to email contact to claim prize. Void where prohibited. Today I’m SO excited because I get to host author (and friend) Meghan M. Gorecki with a review, interview, and GIVEAWAY of her recent historical romance release, Amongst the Roses. This is a rich story set against the backdrop of the Civil War and two families’ involvement in that conflict. Amongst the Roses transports the reader to the northern front during key conflicts of the Civil War, including its society-shaking start. With multiple viewpoints, it explores the home front and battlefields from multiple perspectives that lend a voice to more than mere characters, but to a tragic and heartbreaking time in history. This novel explores themes of hope, family loyalty, and the provision of a Heavenly Father whose presence is constant even when He may seem silent. The intricacies of the relationships in this book are fascinating and relatable, even when they illustrate hard truths about sacrifice and consequences. I’m eagerly looking forward to the next story in this series — especially because “the end” came much too soon (ahem, a little bit abruptly for Margaret, too). I hope the continuing story of the Bryants and Doyles will resolve my questions and bring a few things full circle for the families. Thank you to the author for the complimentary review copy. This is my honest review. What is the inspiration behind your heroine, Margaret’s, personality? That God holds our hearts in the palm of His hand—and deeply cares for us, regardless of circumstances that may suggest He’s far away. That His perfect plan—and His loving heart—never change even when the winds of war and devastation swirl. What was most challenging about setting a story in the Civil War era? The fact that almost the entirety of Chambersburg was burnt to the ground in 1864. And not getting to visit every single battlefield my guy characters fought at. Connor. 🙂 He’s a stinker, but his redemption arc (ongoing) was something special to get to build. He IS a stinker! But I can already tell his growth will be worth it. For fun: If you could live in any other time period in history, which would it be and why? Oooh. Love this question. Much as I do love the Civil War—I need indoor plumbing. LOL So probably the 1940’s or 1950’s. All things vintage for this red lipstick loving author! What are you currently reading (or reading next!)? I’m reading this powerful book by Jess Connolly called Dance, Stand, Run: The God-Inspired Moves of a Woman on Holy Ground. Absolutely phenomenal—and I’m only through Chapter Two! Thank you, Meghan, for taking the time to answer my questions today! Giveaway open 4/26/18 12am – 5/5/18 12am CT for (1) ebook copy of Amongst the Roses, ebook format of choice, provided by the author. Entrants must use a valid email address. Void where prohibited. Put the words “cupcake” and “Jennifer Rodewald” together, associated with a novella, and you have my undying attention and interest. Throw in a sweet romance, some chocolate, and a quaint (favorite) small town setting, and you have a recipe for a novella that earns a place on my favorites list!!! I’m thrilled to be sharing my review of this Valentine’s Day release AND an interview with Jennifer, along with an ebook #GIVEAWAY! My name is Kirstin Hill. I’m a simple girl trying to figure out life in a small town. There are a few things you should know about me before we begin. I grew up in the city. I’m a teacher–a first year teacher, (some of you understand that significance). And, finally, when it comes to cooking, I’m a disaster. Maybe none of those things seem story-worthy, but trust me, I have a story. I call it The Cupcake Dilemma, and it literally changed my life. How? I’m glad you asked. It all started with an extra assignment delegated to me at school right before Valentine’s Day… but before we get too far, let me begin by stating this clearly. I was voluntold. The Cupcake Dilemma is an absolute treat from start to finish! Kirstin and Ian are positively likable and refreshingly awkward — especially when they are “together” on the page. I expected to like this story, but I didn’t expect it to be so hilarious (I mean laugh-out-loud hilarious) in so many ways! Jennifer keeps surprising me with her versatility and voice. It’s not all hearts and chocolate, though, as the interaction between Kirstin and Ian reveals a deeper desire to find joy and friendship. That’s what I like most about the developing relationship between Kirstin and Ian — that it begins with a friendship and wonderfully, naturally grows into a sweet could-be-love rapport. If you’re looking for a light-hearted story with epically funny kitchen fails, look no further than this “sweet” novella from Jennifer. And, if you’re a fan of her Rock Creek stories thus far, you will be delighted by the brief appearance of beloved characters. Thank you to the author for providing the review copy. This is my honest review. You’ve written stories across genres with different emotional depths, from lighthearted to innovative and thought-provoking. How do you prepare to write such varied stories? You noticed that, huh? *wink and a smile* I’m not sure how to describe the prep work for my more emotionally charged books, other than to say I do quite a bit of research in the way of reading non-fiction books and blogs (blogs are a surprisingly rich wealth of information into the human heart—some people are shockingly honest on their blogs). And prayer. Lots and lots of prayer. Not just that I’d write what He would have me write, but that God would show me more of His heart for people in the stories I explore. Truly, that’s the driving force behind what I do—to discover through story more Truth, to understand the heart of God. So, even with my lighter stories, there is that. I was surprised to see God reveal to me how much I needed to let go of the guilty voices that plague me as a mother through the writing of Ordinary Snowflakes; and I was completely delighted to experience God’s pleasure in humor as I wrote The Cupcake Dilemma. Snowflakes, I had just finished the rough draft of Red Rose Bouquet, which proved to be the most emotionally challenging—and heart-wrenching story God took me through. The Cupcake Dilemma was also written after the completion of another heart-challenging rough draft (Finding Evergreen—which releases March 22). Interestingly, both novellas started with the personal challenge to create a fun hook and write a story from there. So, for Ordinary Snowflakes, the hook I started with was the line “I almost stepped on it…” and, The Cupcake Dilemma was “Let me begin by stating this clearly. I was voluntold.” With both stories, I really didn’t have a shape in mind for what would happen as I began to write. They were both rather a reminder of the delightful surprises that come with simply creating. What is your favorite cupcake? Did you bake cupcakes while you wrote? completely jealous of people who can bake (ehem, Courtney.) *Courtney smiles bashfully* and wish that they could come live with me so that I would have an unending supply of bakery deliciousness. I am ever-hopeful that one of my daughters will take up that charge. My favorite cupcake is a peanut butter Reese’s-esc creation. I’m also a fan of lemon. Sadly, there was no consumption of cupcakes during the writing of this story. That is just wrong. I do plan on celebrating the release with one—or more! on Valentine’s Day. You MUST celebrate with cupcakes!!! And, if you’ve had a particularly challenging time lately, I (and Ian would) suggest a “dark and dangerous” chocolate one! Tell us about the inspiration for and story setting of Rock Creek. I do hope Rock Creek will be revisited soon! Is there a theme or message you want readers to take away from The Cupcake Dilemma? I just finished an Advanced Copy of Sondra Kraak’s upcoming release Three Words and A Kiss. Next up is When Breath Becomes Air by Paul Kalanithi, and in between, I’m working through Ted Dekker’s The Forgotten Way. The next novel for me will probably be Courtney Walsh’s Just Look Up. Oooh, out of those, I’ve read Just Look Up, and it’s fabulous! Thank you, Jen, for taking the time to answer my questions today! You have written a treat of a story! Giveaway is for one (1) Kindle ebook copy of The Cupcake Dilemma provided by The Green Mockingbird. Giveaway ends 2/17/18 11:59pm CT. Void where prohibited.